January 27, 2016 by Ecommerce News. About Laws and regulations, Marketplaces with tags Europe. 7341 views. 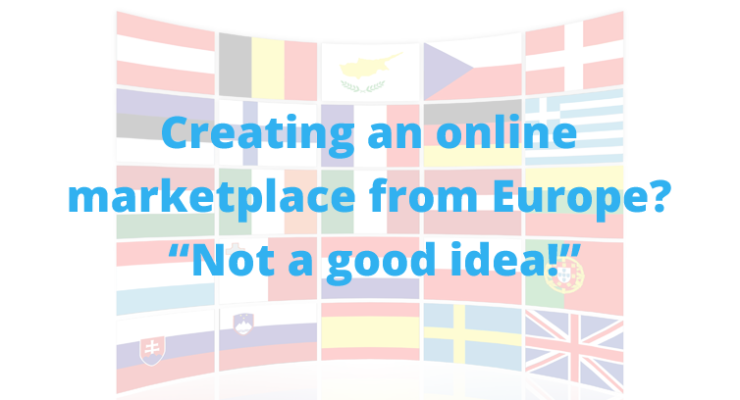 Running an online marketplace from somewhere in Europe used to be very complex, with all the different tax rules. But since the beginning of last year each company that sells digital goods is forced to collect VAT based on the country of residence of each buyer. This didn’t make it easier. A European startup explains why. But when you are a company operating from the European Union, there’s a different set of rules. Until 2015, in Finland in particular, B2B transactions were subject to 24% value-added tax (VAT), while B2B transactions with one of the parties registered outside the country were tax exempt. And B2C transactions to an EU resident was subject to 24% VAT, while such transactions to non-EU residents were tax exempt. And C2C transactions were tax exempt for small amounts. The people at Eliademy were sometimes faced with some complex tax problems. For example, someone from Russia created a course which was then being purchased by a German resident, while the transaction was handled by a company operating in Finland. The Finnish tax office decided that, despite individuals selling online goods to each other, each transaction had to be taxed as an online product sold by a Finnish company. That way, consumers from non-EU countries such as Russia or the US ended up paying 24% less compared to people from let’s say Finland or Germany. But in 2015, things changed. A company that sells digital goods needs to collect VAT not according to a flat rate of their home country, but instead calculated based on the country of residence of each buyer. But if you use PayPal, there is no data about a person’s residence provided at any point in time. But the EU demands that, in this case, the marketplace has to collect at least two non-conflicting pieces of evidence about a buyer’s location. This could be an IP address, the location of the bank of someone’s credit card or the answer from a “Where are you from?” dropdown menu option. According to Gerasimenko, all of this data, for each transaction, has to be kept for several years on the backend and reported monthly to the tax office.